Now’s that Springtime is here ,its time to splash some bright beautiful colour into your kitchen.Here are a selection, of brightly coloured kitchen essentials and accessories to choose from and give inspiration. 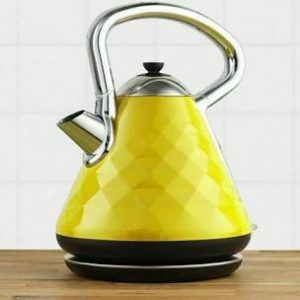 Bring a ‘ Pop ‘ of bright,vibrant,yellow colour to your kitchen, with the Elements kettle, which features a textural 3d finish and crafted into a beautiful pyramid shape. 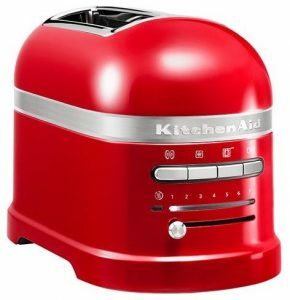 The KitchenAid Artisan toaster, in a bright, rich, Empire Red colour,with striking design details and made in sophisticated materials.With its die cast metal construction,makes a robust and stable appliance in a contemporary style kitchen. A perfect touch of colour to add to the kitchen,these essential colourful, fun fine- crafted rainbow mugs, made from Le Creuset stoneware for a robust and high quality finish.Each one is in a beautiful bright colour,cerise,volcanic, soleil ,palm, cassis and teal. 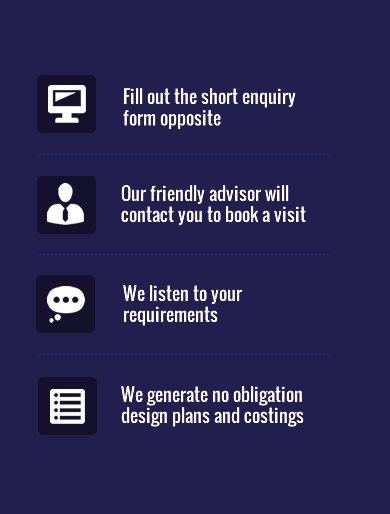 A statement addition to light up a contemporary or retro style kitchen. A smooth bright purple bell-shaped glass shade,with a black finish round ceiling canopy. 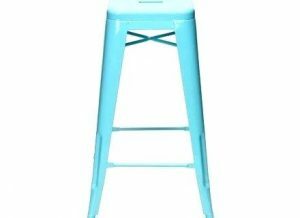 An amazing simple- form, turquoise metal bar stool.A perfect contemporary accent piece of furniture, to zest and brighten up, an all white kitchen and would compliment different wood colour cabinetry. 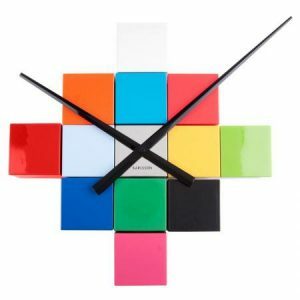 Add a splash of colour and bring your own personal touch to the kitchen.Deck your wall with the Karlsson D I Y cubic wall clock ,this amazing timepiece , features 12 cubes in an array of colours, that can be scattered across the wall in a layout of you choice.